What's LOVE'S energy in February? Find out here! 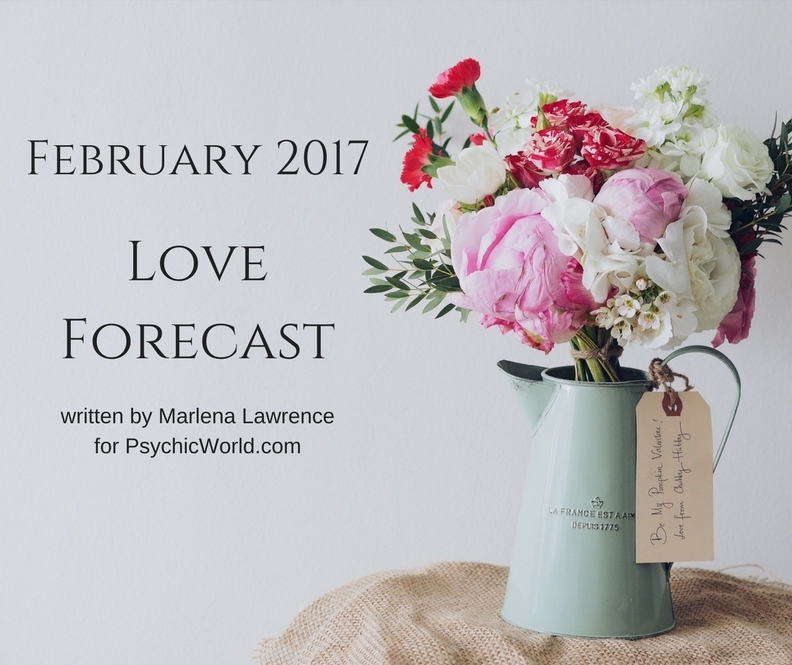 See Psychic Marlena's Love Forecast for February 2017 here! Hello and welcome to Psychic World! I'm Psychic Marlena. I am a Clairvoyant psychic with over 12 years of experience. Today, I am here to tell you the love forecast for February. Now right away I see that February is going to be a good time for those of you who are single. So go out more, meet new people, go on that blind date that your friend was telling you about. Ladies, it's okay to give that guy at the coffee shop your number. Guys, go up to the woman at the coffee shop and ask for her number. Basically, do something different. The energy fields surrounding love are shifting which means it's a great time to find new love and move forward. As for those of you are not single; as I said earlier, the energy fields in love are shifting. For people that are single, that means love is coming their way. For people who are in a relationship, this means there needs to be a change. Start showing your partner more affection, more love, and more care. Although things might be going well right now, you wouldn't want that change to be bad around Valentine's Day. My psychic advice? Do something sweet for the one you love. No, it doesn't have to be expensive but it can be nice. A picnic in the park, maybe cook them their favorite meal, even just laying down and watching their favorite movie. If your partner loves the outdoors, go camping. A little goes a long way. Get creative. To all my busy readers who aren't making enough time for love, well, it's time to start making time. Marlena Lawrence - Chat with me to find out what YOUR love life will hold in the coming month!